This CV’s originality lies in its graphics and page layout. CV template to download "Spontaneous"
The Spontaneous resume template excellently showcases your past work experience in a simple and stylish design. 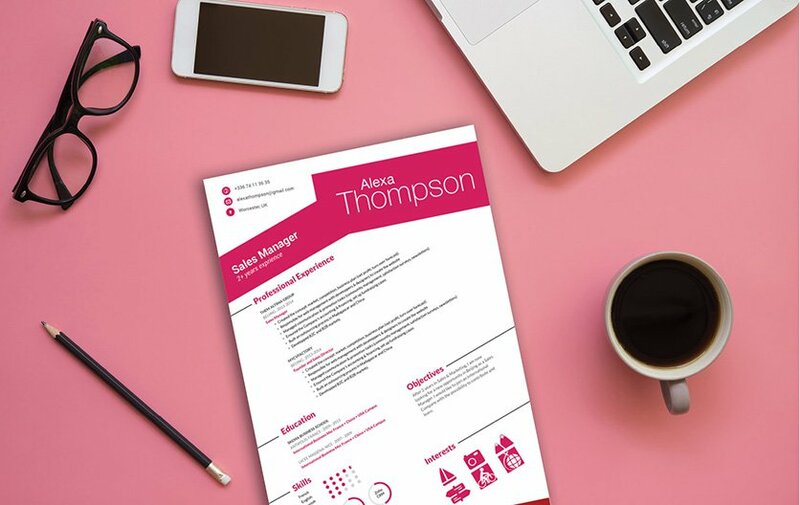 It has a clean design good for today's modern office jobs, but that doesn't mean this template is only good for that, in fact--because of the brilliant usage shapes and graphics this resume is good for any job type! Its color scheme can effectively grab the attention of your potential employer. 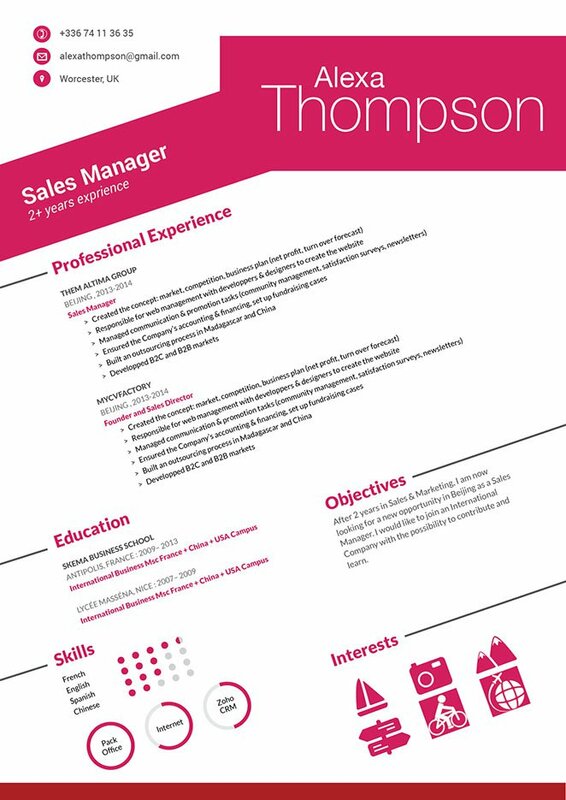 This student resume template is just what you need to get that dream job. One major factor that makes any resume good is how well-detailed and understandable it is for the reader. Make it simple, but comprehensive—make it a resume that perfectly conveys all your qualifications with ease. A font size between 11-12 is ideal for a resume to be readable yet still look professional. Also, the use of Serif fonts gives an added boost to how professional and clean your resume looks. A typical resume is only read 10-30 seconds, it doesn't get a full reading the first time through! In that small window, your resume should give all the essential details that your potential employer needs. Break information down to no more than five lines longs, make it short--but substantial.